This parcel is located within walking distance to the heart of where major transformation is expected. Zoned T4 R, this 5,750 square foot parcel allows up to 4 units. Rents are increasing in the area and with rents at $1,500 for a 2 bedroom unit in the fourplex next door. One may also build a modern twin home which may yield a sales price of mid $500's each side. Allapattah presents some very interesting investment opportunities. 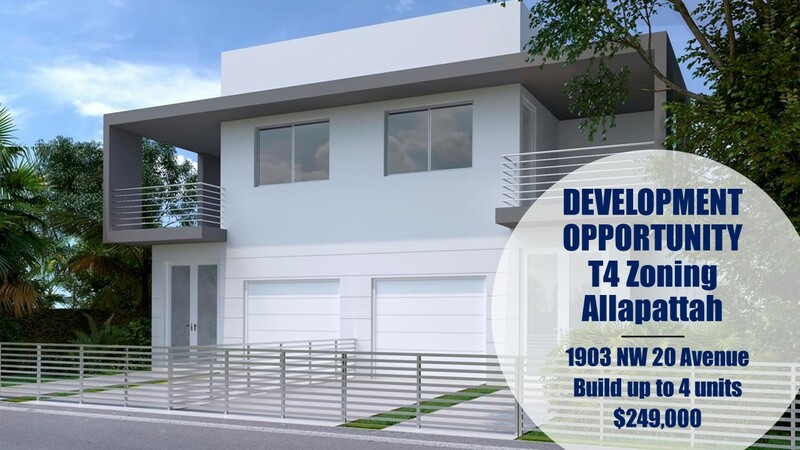 If you are looking to position yourself in the path of future development, please contact me at 305-582-4062.